The Mid-City Music, Dance, Drama, Arts & Crafts Workshop Instrumental/Jazz Studies Department is looking for young aspiring musicians to join its Youth Orchestra. This unit will participate in a very special national competition known as "Essential Ellington" at the Lincoln Center. Each year over 1800 Jazz Ensembles from across the United States enter this contest with ambitions to win. A trip to Lincoln Center in New York and play Duke Ellington Compositions. 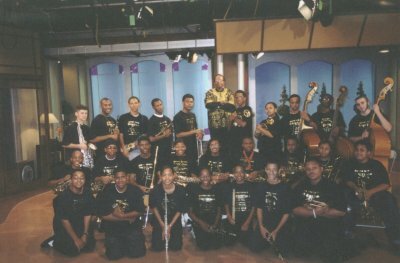 Television, local and other performances are a usual request of this Youth Orchestra.